Previous Post Pad and i: 7. I’d like to make a toast. 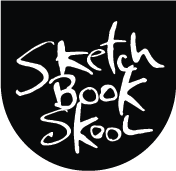 Next Post Someone’s been monkeying with my sketchbooks. On the sketch in this post, I read your “observation” too thin as tooth in. Just one more example of your brain blocking you from REALLY seeing. It even happens with words. There is power in them words Danny. Well said, Danny! A lot of good reminders for me to help me stay on track. Thanks for the inspiration! Thanks for hte post. It comes at exactly the right time. Needed to read this to keep the motivation. Thank you for this thoughtful and helpful information Danny. Another helpful thing for me was when Veronica Lawlor mentioned in her class that a drawing doesn’t have to look like the subject – for some reason that made me feel a sense of freedom to stray from obsessive and soul-draining overworking that deadens a drawing – It’s also a lot of fun to stray from the reality trap and to experiment with various mark-making. You are inspiring! Thanks for the reality check. Your blog was what made me pick up a pencil and start sketching 5 years ago. For 58 years I was a “wanna be” who had convinced herself she could not draw. Danny, thanks for this. My desire to draw has vanished in the past few weeks, and I have been trying to get it back little by little (without forcing it). Koosje’s wonderful series of “Art Therapy” videos have been very helpful, and now there’s this wonderful addition to her interviews. I think I’m always tempted by the “too much, too soon” route when I try to establish a creative practice, so your reminder to stick to the basics and pick simple projects is so important. Do you teach art for a living? I have had an awful, demanding art obsession my whole life, but I never wanted to be an art teacher. Instead I became an English teacher and broke down the simple steps to reading and writing better for 31 years in public schools. I see here not only a passion for art education, but innate skill as a teacher. That is a rare thing that society as a whole needs so much more of. Such wise words! Thank you – they will keep me trying when I feel that drawing is too difficult!